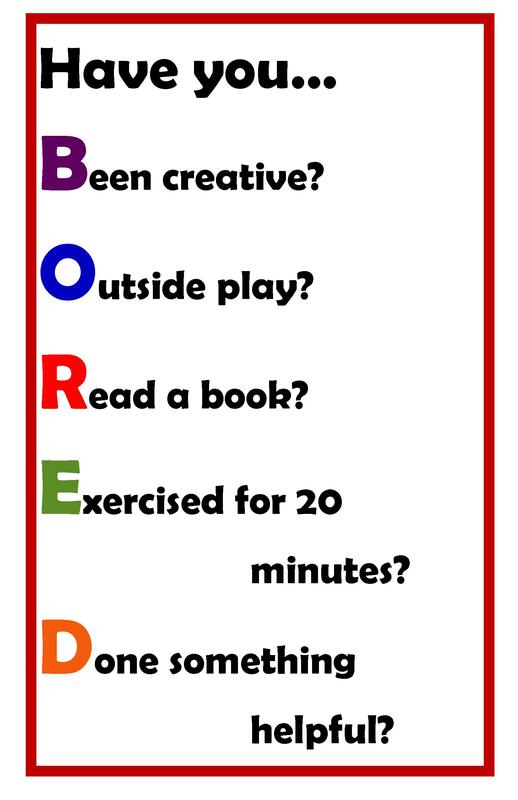 Cure the “I’m BORED” blues with this colorful poster that gives ideas and suggestions when boredom strikes. Each poster is 11×17 inches. Poster is $10 which includes shipping and sales tax.